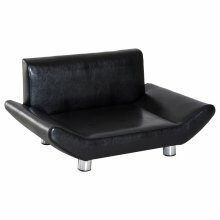 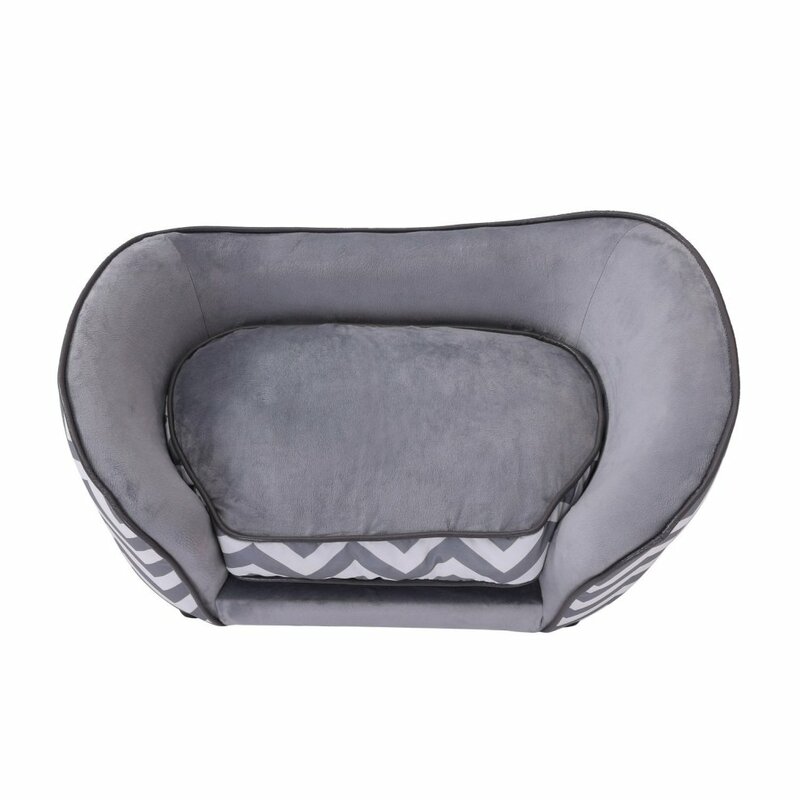 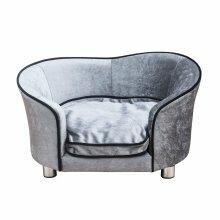 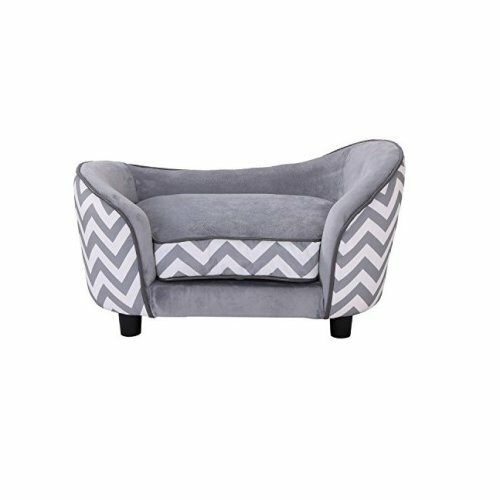 After a long day of chasing their tail and being utterly adorable, there's no better place for your pup to kick back and put their paws up than this ultra-comfortable PawHut Plush Grey Dog Couch. 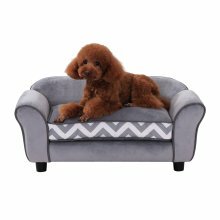 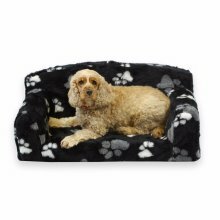 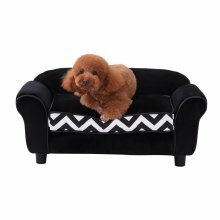 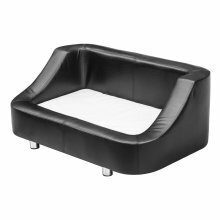 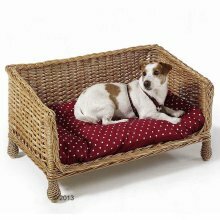 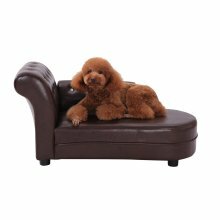 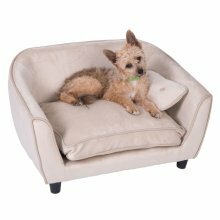 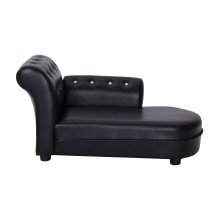 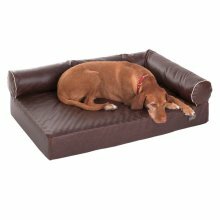 Crafted from sturdy wood that'll withstand even the most excitable pooches, the couch boasts a supportive cushion and a soft plush fabric they'll love snuggling into - just don't forget to tuck their favourite toys in the pocket first! 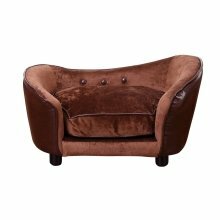 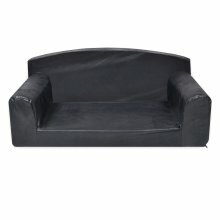 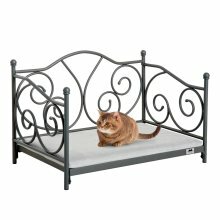 Showcasing high sides (hello, extra cosy feel!) 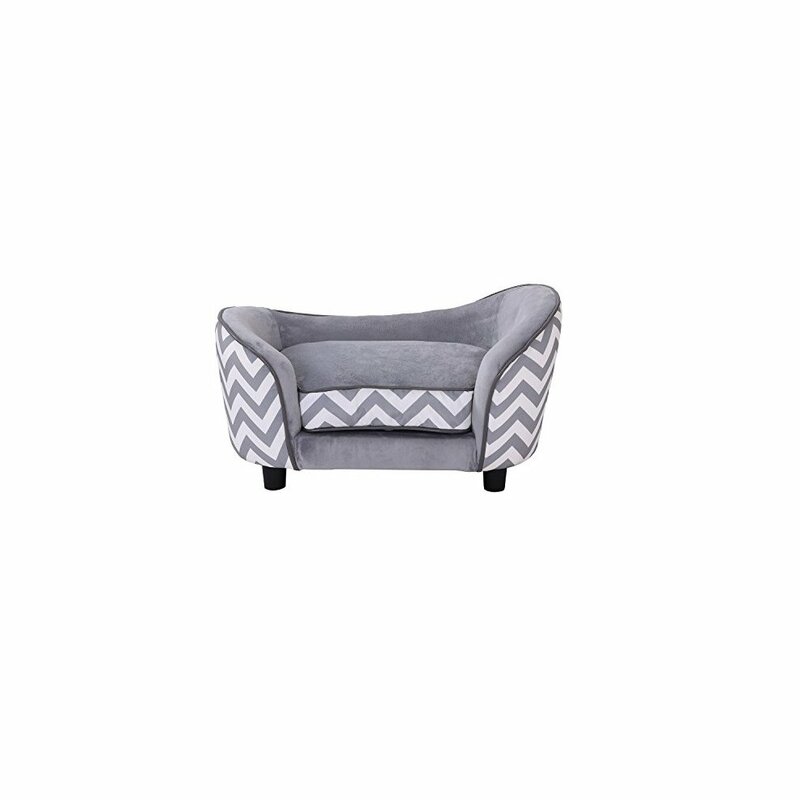 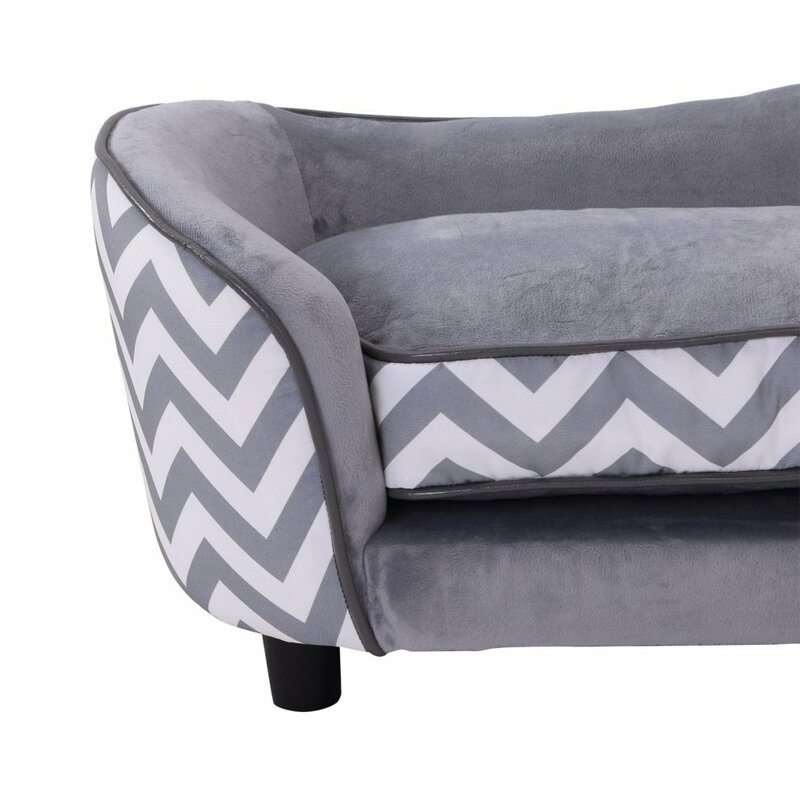 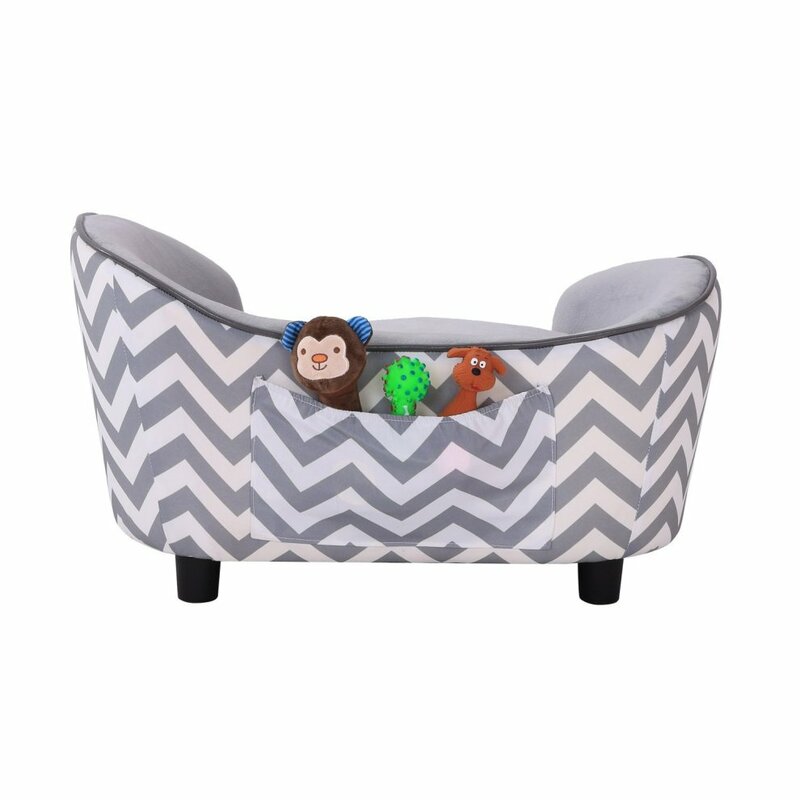 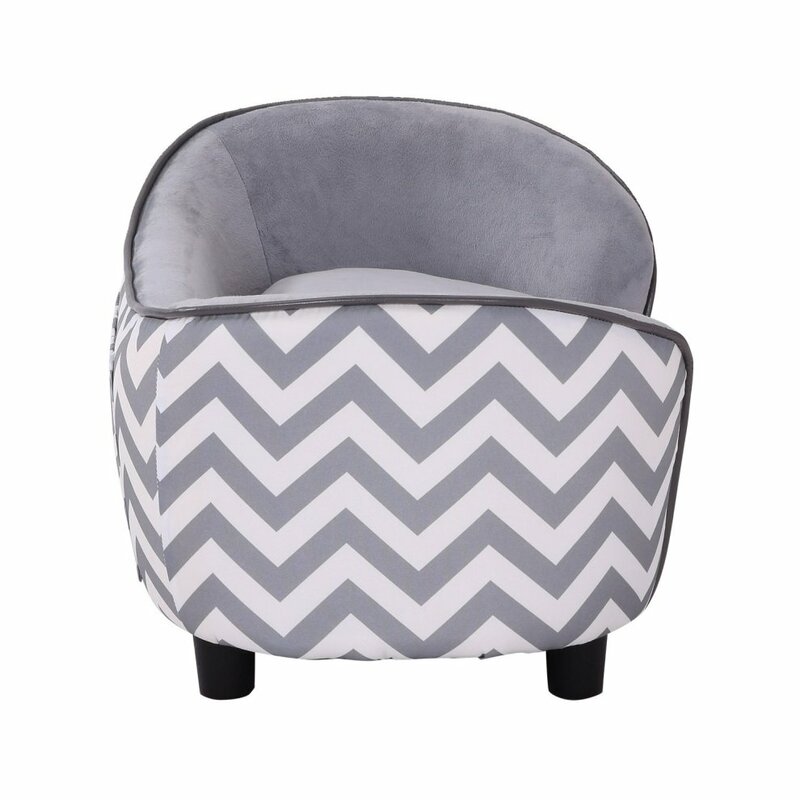 and a striking chevron print in grey and white, the couch is bound to look brilliant wherever you pop it - and even better when your pup's all curled up!